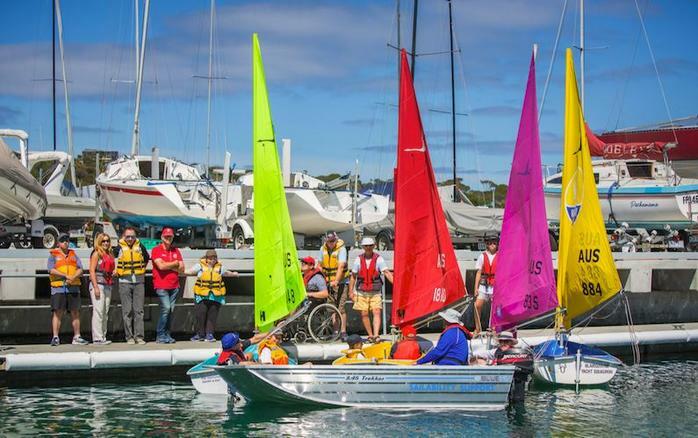 Sea Wise was created to offer quality holiday accommodation in Blairgowrie, on the Mornington Peninsula, which is also disability friendly. Over the years we have listened to our clients and their diverse needs, which has helped us improve our service, units and facilities. 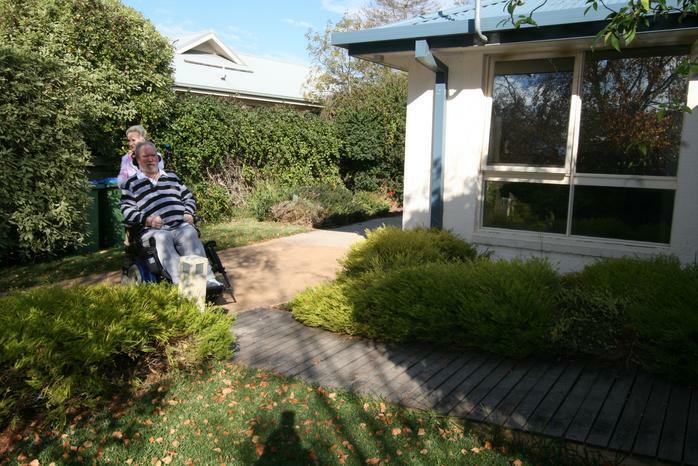 With industry experience in disability care and nursing, it is our intention to make not only our units, but also the beautiful Blairgowrie Village and surrounding activities accessible to people with a disability. We have teamed up with some of the Peninsula's longest operating and most sought after operators to make your stay one to remember. Please take some time and click on the tab headings below for more specific information about each area of our commitment to making beautiful Blairgowrie and Sea Wise Apartments disability friendly. You can also click on the various floorplans at the bottom of this page for the specific room measurements and layout for each of the Units. 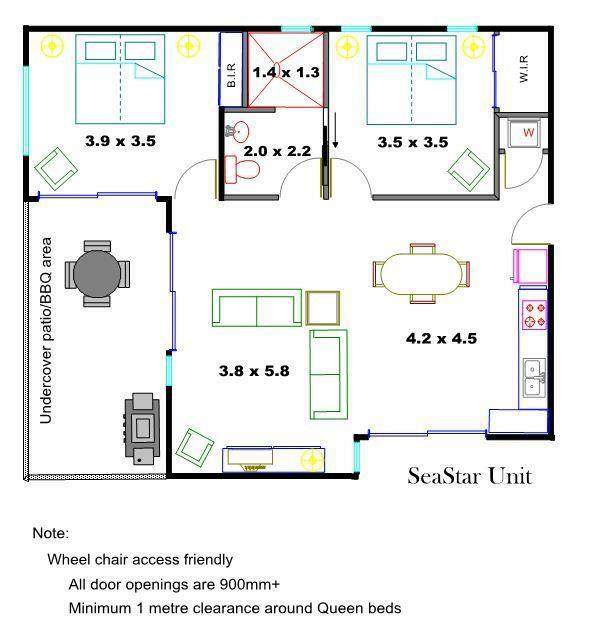 The star of SeaWise was purpose built to offer quality disability friendly comfortable accommodation. Large open plan living area with plenty of space to offer easy mobility - all doors are 900mm wide. Kitchen is a normal bench height with an under bench cupboard with pull out shelves and we can arrange china and cooking utensils at under bench level on request. Large rooms with plenty of wheelchair access. Our beds allow for access of lifting machines. One bedroom has direct access to the bathroom via a sliding door. Large roll in shower with fixed or hand held shower, mixer tap, easy access for clients and carers. Hand grab rail on 2 walls with non slip tiled floor through out. Disability toilet with hand rail. Basin flick mixer tap with wheel chair access and a heated towel rail. This small, motel style unit has both its own private access as well as access to Sea Star and/or Sea Urchin Units (on request). This is very useful if needing accommodation for live in carers or to turn either of these units into 3 bedrooms. This unit was redesigned to make it more disability friendly with access via a ramp over the front covered deck. The kitchen, dining and lounge areas were remodelled to give better mobility and space. Queen bedroom is wheelchair accessible. Regular toilet, with room for a wheel chair beside toilet. There is also an over seat toilet with hand rails. Large shower with fixed hand held shower & mixer tap that can accommodate a shower chair or stool. Office hours Monday to Friday. All equipment hire needs to be arranged prior to arrival. Meals in a Moment is the largest private meal supplier to the aged and disability sector in Victoria. We are a service based organisation and strive for the health and happiness of the people that we look after. Our meals are prepared using whole, fresh, locally sourced ingredients and are snap-frozen. This enables the variety,cultural diversity,and tailored service that we offer. Meals have a freezer life of three months,with the exception of salads which are delivered fresh. Salads have a fridge life of 3 days, with the exception of pasta and potato salad which can be frozen. All meals can be heated in a microwave or conventional oven and all packaging is microwave safe. Delivery Service Monday to Friday 9 am to 3 pm. Do your own shopping and they will organize delivery. To organize this and payment at Service Desk in the store. Delivery service Monday to Friday 9 am to 3 pm. Do your own shopping and they will organize delivery. No cold goods. To organize this and payment at Service Desk in the store. My health Carers prides itself on its personalised service and ability to match the right carer to clients' individuality. 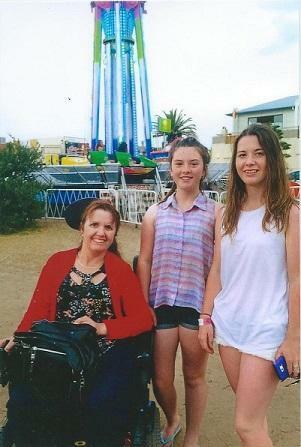 My Health Carers ensure that our staff are professional and reliable. All My Health Carers Staff are required to have a minimum Certificate 3 Aged and Disability Care and receive ongoing professional training in areas such as Dementia Specific Care, OH&S, Stoma and Bowel Care. Car & Passenger ferry with lift and accessible amenities. Phone ahead for advice on timetables, parking and staff assistance. Join us aboard the vessel Rorqual for a 2 hr cruise on Port Phillip Bay. From Blairgowrie Yacht Club Marina & Sorrento Pier. Groups can be catered for. 3 disability changing rooms & toilets. Lift access to lower levels. The staff at Peninsula Hot Spring are unable to assist with transfers into and out of pools & baths. Recommend bring own carers for any assistance needed. Our Enchanted Adventure Garden is a place where you can lose yourself in the colours of a seasonal garden or marvel at the formal structures of hedge topiary. You can be transported by giant sculpture, get tangled in a maze, or you can just set up a picnic next to the Tube Slides and listen to the laughter. We rcommend contacting Enchanted Adventure Garden to check on suitable accessability for your needs. An exciting and unusual collection of model ships,planes,motor vehicles, motorcycles, bowers, signs and memorabilia housed in a 1940”s style garage and showroom. Group bookings any day between September & June. Wheel chair access, disability toilet. Swim with wild bluenose dolphins. 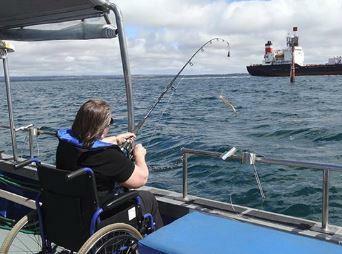 This memorable ecotourism adventure also features close encounters with other facinating marine life, including seals. Tours depart from Sorrento Pier at 8 am and 12 pm each day (weather permitting), and other times by arrangement. Bookings essential. Experience the essence of Sunny Ridge Strawberries at the home of Australia’s largest strawberry producer. For wheel chair access please telephone prior to arrival.